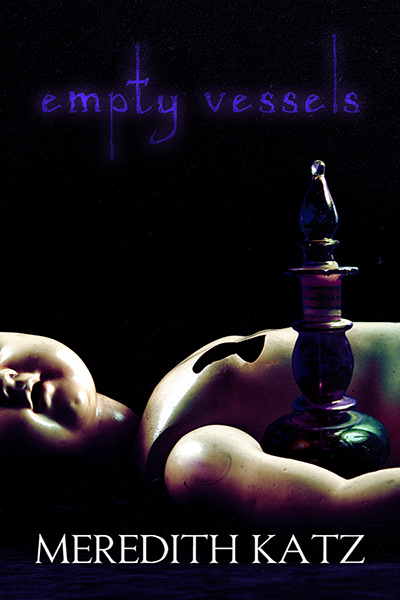 Empty Vessels Available for Preorder! In the aftermath of a terrible accident, Keith is left with anxiety and depression. He’s also left with psychic powers, a ghost following him around, and the unwanted knowledge that not everyone in the world is human—some are something other. In the midst of all this turmoil, it’s the ghost, Lucas, who becomes his closest friend. But when Keith starts having prophetic dreams about horrible monsters hunting Others down, he can’t remain uninvolved anymore. Against his better judgment, and with Lucas’s support, Keith begins to pursue the truth of what’s really out there, what sorts of people they are, and what his own role could be in this strange new world of spirits and monsters. I couldn’t be happier to announce my newest novel: Empty Vessels! This is a story of an literally-haunted anxious young man who steps up to help out the otherworldly community against a darker force. It involves possessed dolls, faceless ghosts, bone girls and horned boys and things that go bump in the night and, sometimes, smooching. It is available for preorder in ebook form from Less Than Three Press (print orders to be added closer to the release). Preorder to save 15%!